Macron’s priorities include reforms for France and rebuilding the means of future international influence. The international enthusiasm after Emmanuel Macron’s victory is as great as the pessimism generated by the rise of France’s far right. Indeed, while a Le Pen victory was always a low probability, nobody predicted a 2 to 1 margin for Macron. In this case, opinion polls erred against the liberal candidate, though they swung in his favor during the campaign’s final days. Macron’s victory reverses a political slide that began decades ago. 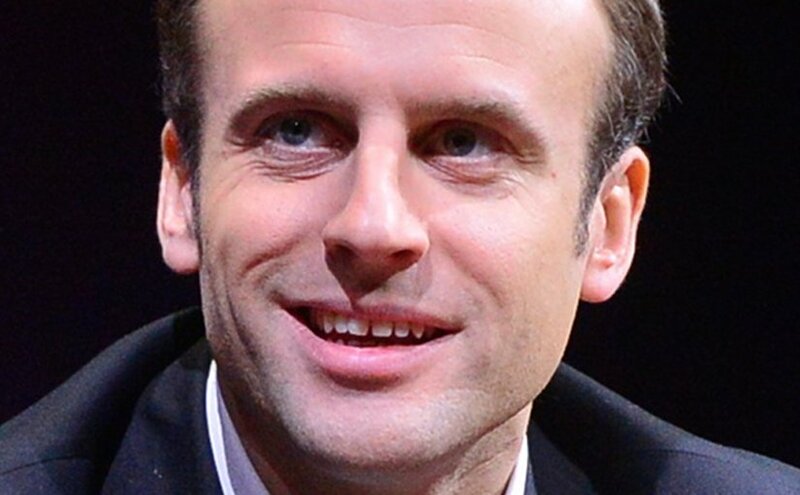 France’s Emmanuel Macron. Credit: LeWeb Photos, Wikimedia Commons. The size of the Macron vote nonetheless indicates clear rejection of the far right, recalling a Japanese proverb that says “You have to approach the gate of hell to turn back.” In this case, a single debate, 2 ½ hours, between the two run-off candidates did the trick. Marine Le Pen attacked relentlessly, often viciously, including fake news about a hidden offshore account and a stream of abuse intended to represent voters’ rage. Unwittingly, she helped answer a big question about Macron’s character. Young and not known as a great public speaker, he rose to the occasion, keeping a steely composure and fighting back with facts and Gallic logic. Short on facts and fuzzy on what she would actually achieve with a dual currency – a last-minute invention to allay fears over leaving the euro – Le Pen had reached her Peter Principle, revealing incompetence, or what has been mistakenly called in France her glass ceiling. For Macron, what was supposed to be a predictable but modest victory became a landslide. An 11th hour cyberattack designed to throw off his campaign, associated with Russian hacking, backfired. The French don’t like to be told for whom to vote, apparently. The lesson for democracy is clear. Macron did better with forthright debate, openly standing for Europe, calmly debunking the multiple electoral promises of his opponent, than he had done with a less clearly defined campaign. He showed authority, addressing a fundamental anxiety in today’s political democracies. Rigorous checks and balances, the rise of the media as an independent power and the advent of an individualist society may well have voided the role of politics. But there is a craving for guidance and leadership – a trend that usually favors more populist leaders. Macron, focused and assertive, defeated the trend even while critics judged him arrogant. His final debate performance was previewed in another hour-long debate with aggrieved workers of a Whirlpool factory, slated by owners to relocate to Eastern Europe. Surrounded by a hostile and worried crowd, Macron began to speak, confronting jeers, and left with handshakes – accomplished without any formal promise to save jobs: he did pledge to take away any subsidies that may have been granted to Whirlpool, but explained market rules cannot work if a company is not allowed to disinvest, and made the case against punitive import taxes by citing factories nearby that export their production. Few politicians could achieve such a convincing argument, and given Macron’s mandarin background and lack of electoral experience, he was least of all expected to win such a contest. Macron’s win was decisive, yet there is a dearth of predictions on the direction he will take or how he will exercise his mandate. This is a consequence of voters’ mood: They rejected the two parties that have structured French political life since 1958. Macron, like Le Pen, is a symbol of that rejection. A key consequence flows from this. He will attempt to revive the spirit of the constitution created by Charles De Gaulle, creating a parliamentary majority revolving around a new party that will be very much his own. He embraced an unearthly symbol by celebrating his victory in the heart of the Louvre – where I.M. Pei built the transparent pyramids that are a symbol of globalization, yet also a place where kings ruled and where the ministry of finance was long located. Macron requires candidates running for parliament under his banner to renounce other political affiliations. He and his inner circle have adopted the language of authority, denouncing the old-fashioned political crowd. And indeed, Macron needs a strong base and authority to go with it. Both right and left are trying to capture a majority for the assembly – completely impossible for the left, not wholly inconceivable for the right. Macron’s game for the legislative elections that conclude June 18 is to pull as much as he can behind him and then balance both sides. Given his personal success, this is at least likely, as French voters usually confirm and amplify a choice they have just made – although another unfortunate statistic suggests that, several years later, they tend to go the other way. Macron must meet two reality tests before early fall. The first test will be over the liberal reforms that Macron, as candidate, only broadly described, but could push quickly in order to capitalize on his win – targeting labor market rigidities, opening key professions from doctors to taxi drivers, creating equal retirement rights according to contributions instead of the present medley of regimes. He plans to abolish unemployment fees on payrolls, replacing them with an increase in France’s universal social tax on all income. He also intends to cut public jobs, although budget austerity is not part of his program. This is not a war on public spending, but these changes will inevitably create losers in the short term, who may be less than sensitive to future gains for all. It’s not true that France has failed to achieve reform over the past decades, but this has been with small and politically painful increments. Macron risks finding obstacles, not only the extreme left-wing and far right that have not disbanded, but segments of traditional parties who assume his appeal may pass quickly. Success is possible, but requires communication, negotiating skills and a loyal government. The second test is that of Germany. Macron’s campaign has done more than any of its predecessors to advocate European unity and a deepening of common institutions. To achieve political success at reforms, he needs economic growth. And growth requires trust, but also continuation of the European Central Bank’s easy money policy and a shift towards greater consumption from Europe’s largest economy, that of Germany. A comparison might be made with the French reform process: German Chancellor Angela Merkel and her government have accepted many European developments they did not like – from bailing out Greece to ultra-low interest rates. But they did so slowly, reluctantly, with evident fear about being led down a path of budgetary irresponsibility by their fellow Europeans. To convince Germany, Macron needs to demonstrate success at key reforms, financing France’s public spending with growth more than with the present near-zero interest rates. To succeed at these key reforms, Macron must show that he has Germany on his side – he recently said he is not facing Germany but standing by it, a description he undoubtedly hopes to be reciprocal. The poison of nationalism and fear has produced its own antidote in France. France has never seen a man taking such political risks and become president. It has never seen such strong advocacy for Europe, although no previous president has been anti-European. It has never seen a president so keen to focus on domestic and European issues – the rest of the world exists as a backdrop, and unless forced to by circumstances, Macron is unlikely to spend as much time as his predecessor on foreign policy beyond Europe. While the vote has been an endorsement of open society against chauvinism, reform at home will be the top priority and rebuilding the means of future international influence. The French may be divided now more between optimists and pessimists than by right or left choices. This moment has allowed President Macron to step on stage, where he must now prove his skills.